‘Property guardianship’ or ‘anti-squatting’ is a phenomenon which started in the Netherlands in the 1990s and has now spread to five other European countries, including the UK. Property guardians are essentially unofficial security guards, who pay to inhabit a building as their home, under the tenure of ‘license’. Crucially, this is not a tenancy, and has none of the corresponding automatic rights of security of tenure. ‘Guardians’ usually pay £15-100 a week to do this, depending on the company involved, and the area they are in – the cost is always below market rent. The ‘win-win’ is outlined as follows; cheap ‘rent’ for ‘guardians’, maximum flexibility for owners. In practice this means guardians have to be willing and able to make habitable the properties they are paying to occupy, and move out with as little as two weeks’ notice. If you’re a ‘guardian’, you can’t have kids and you have to be in paid employment or have some other non-welfare income. Despite a lack of direct legislative support, property guardianship has grown sharply in UK in the last 5 years. At least nineteen different companies offer property guardians, and it is most widespread in London. The major property guardian companies active in the UK are Camelot and Ad Hoc. It has grown sharply in the last 5 years, with the above companies having 14 offices in the UK between them. In the Netherlands, where property guardianship began in the 1990s, squatting in all properties was criminalised in 2010. The legislation explicitly recommended this ‘anti-squatting’ as a win-win solution to longer-term empty properties and a deterrent to squatters and vandals. In the UK, property guardianship has not been proposed by central government as the friendly, market-based alternative to squatting. Although most clients appear to be private commercial property owners, it is used by public and social housing sector; several housing associations and at least 21 London local authorities have made use of guardians at some point; some, like Hackney, work closely with the organisations, keeping a ‘waiting list’ for potential guardians (although many on social housing lists can’t be housed in this way). One organisation, Camelot, has boasted of its recognition by certain local authorities as a housing provider. Yet there are multiple examples of oppressive surveillance by these companies (supported legally by the fact that a ‘guardian’ as a licensee, does not have the exclusive possession rights of a tenant), unremunerated labour in the form of ‘guardians’ painting, mending and rebuilding the properties, and retention of deposits given to guardian companies when they first move in. A recent academic article suggested that the Protection from Eviction Act 1977 and the Housing Act 2004 could be invoked in certain instances to support ‘guardians’ claims to tenants’ rights. This is encouraging, but the legal standing of ‘guardians’ is by no means clear compared to tenants or very temporary licensees (for example homeless people temporarily housed by local authorities). A house with Camelot guardians installed, London, Nov 2012. 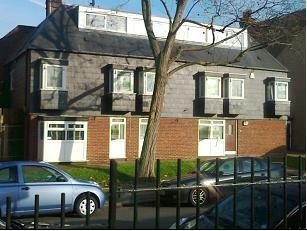 Houses/flats are the exception rather than the norm in property guardianship. In England and Wales, the position of housing in the welfare state, and housing law, used to allow for squatting to be a viable form of housing for many, even thought it was precarious and vulnerable to evictions (often illegal ones). By contrast, property guardianship seems to be a viable housing approach for only a very select group of people. Squatting, especially post-war and in the 1960s-70s was used as a lever to propose as well as oppose; to hold local authorities (then huge direct owners of social housing) to house those in need. Now those local authorities have an ‘arms-length’ relationship with this housing, and put ‘guardians’ in their empty offices and commercial property. The present and last Governments made much of the problem of empty property and empty homes in particular. But the focus of this is ‘neighbourhood(s) scarred by the blight which empty properties can cause’, not places with people who can’t get anywhere for their family to live or who are paying most of their wage on rent. Empty properties ‘blight’ neighbourhoods by attracting crime and vandalism and just looking ugly, which – and this is the greatest crime – damages the value of other buildings. As is the case with property guardianship, the preservation of the building’s value is the most important thing. The waste and threat of empty buildings is more important than the waste and threat of poorly-housed people. By criminalising the squatting of domestic properties (the type of building which is the most appealing and appropriate to most people), the Government have deliberately eroded one opportunity for people to be housed, whilst proposing and providing no other genuine alternative(s). The fact that it has virtually ignored property guardianship – despite its no doubt appealing characteristics of insecurity of tenure, profit for the private sector, the sanctity of property and entrepreneurialism – speaks volumes about the existence of any genuine commitment to addressing housing need. At the same time, if there were more policy support for property guardianship, this would also be worrying, as outlined above. The so-called ‘housing crisis’ is an ongoing and worsening problem with multiple aspects. A key aspect is the growing gap between pay and the price of housing. Another is the decline in secure tenure and increasing conditionality in all the other three tenures – freehold (the difficulties of buying homes), leasehold (new ‘affordable rent’ in social housing, the ending of secure tenancies, unregulated private rented sector, rising rental costs in relation to income) and now trespass (partial criminalisation of squatting). While it may not directly undermine other tenures, license (in the form of property guardianship) takes up some of the slack from their inadequacies, and it cements an expectation amongst those able to be guardians that housing has to be insecure, short-term and below decent housing standards. It also reinforces the acceptability of low pay by offering a marginal cheap rate for certain low-paid workers. The rise of property guardianship does not herald an appropriate approach to this crisis; in fact, it’s part of the problem. Property guardianship is a new form of highly proscribed, insecure arrangement which can be likened as much to unpaid labour as to housing. It does exactly the opposite of what we need to do with buildings, which is to use them to provide affordable, decommodified, dwellings with security of tenure, available to a wide range of people. Squatting used to provide that opportunity; ‘anti-squatting’ points in an entirely different direction. As an anti-Camelot poster in London puts it ‘Resist this exploitation – it’s not going anywhere pleasant’.